I'm not going to say it. You know what I'm talking about. The New York Islanders officially unveiled their new third jerseys to fans and media tonight at their team store inside the Nassau Coliseum. And as it turns out, all of the previous leaks were right on the money as the club introduces two new colors to its pallette — black and grey. Check out the Islanders' official Flickr account for photos from the event. The sweater will make its game debut a week from tonight when the Isles host the Philadelphia Flyers and again two days later on Black Friday. They also released a complete schedule detailing the 12 nights they'll be seen throughout the season. No Western Conference teams will face the Isles in black this season. I stand by my earlier position on this jersey. 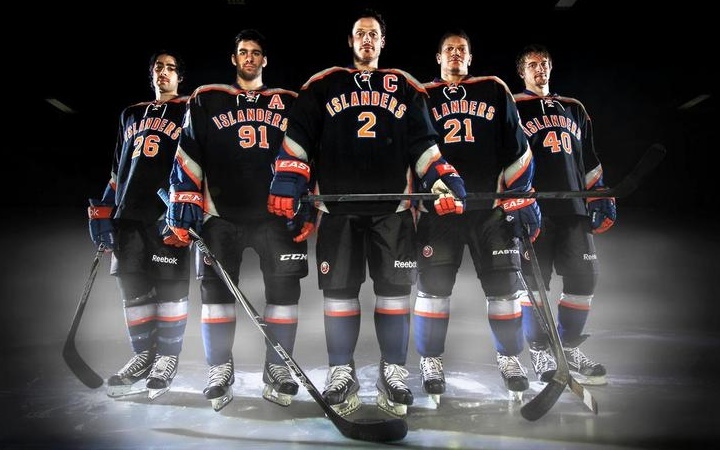 While it may be one of the ugliest the Isles have ever worn — and that's saying something — I like that they've decided to use the third jersey for its intended purpose. It shows off an alternate look, completely different from what we're used to seeing. Holy crap, check out the pants! There was another link I wanted to make sure got included in this post. 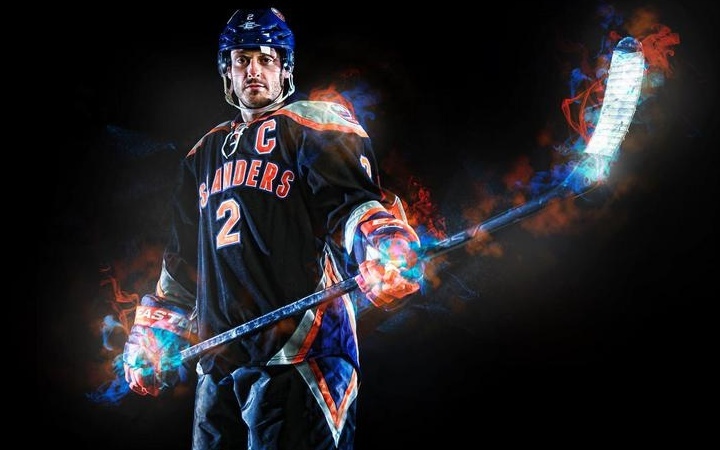 After the unveiling, the Islanders posted an article about the creation of the the third jersey. Terry Goldstein, the Islanders' Director of Retail Operations, said the Islanders started working on the Third Jersey prototype a year ago and ultimately landed on the Black Jersey after getting feedback from the Islanders organization and players. The Black Jersey has the team’s name across the front with the player’s number below. The numbers also appear on each sleeve as well as on the back. The top of the jersey is gray with the traditional Islanders logo on each shoulder. The collar and edges of the sleeves are royal blue which matches the team’s royal blue helmets and gloves. The jersey has a gray, orange and blue triangle under each arm and matches the new black pants that will feature an inverted triangle directly below, creating a diamond. The National Hockey League allows teams to introduce a new jersey idea every three years. Originally, there were nine designs for the third jersey. The last line was an interesting tidbit for us to hang onto. Appparently third jerseys can be swapped out every three years. We already know Ottawa and Toronto have taken advantage of that rule. They each launched thirds in 2008, wore them for three seasons, and launched new ones this year. It's Official: Solar Bears are Back!